Professional Massage and Beauty Therapy is your escape from stress! New AromaTouch technique with dōTERRA essential oils !!! One-to-one yoga appointments are back with Isabel ! Are you looking for the best massage in East London? Are your muscles sore and tight? Check yourself in for some total relaxation with us. We are friendly and experienced. Let us give you the treatment you deserve from the minute you walk in the door. We offer relaxing massage and effective beauty treatments. Pamper yourself with one of our famous honey facial treatments, or stretch out and enjoy lomi lomi massage. 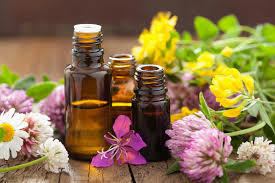 Try out our aromatherapy deluxe session with body scrub, and just say “Ahhhh.” We also offer mani-pedi service, and counselling sessions regarding overwork and stress relief related disorders. Take a few hours – or even a whole day – to refresh yourself, recover, and rejuvenate at our specially prepared treatment. Amazing massage, full body scrub treatments, honey massage or deluxe sensual treatments to balance your energy levels. Make sure to look through our photo gallery for a sneak peak at the treat that awaits. Or if you prefer the comfort of a warm massage try our NEW LAVA SHELL massage with warm shell radiating beautiful warmth and great for stong and medium strength massages alike.